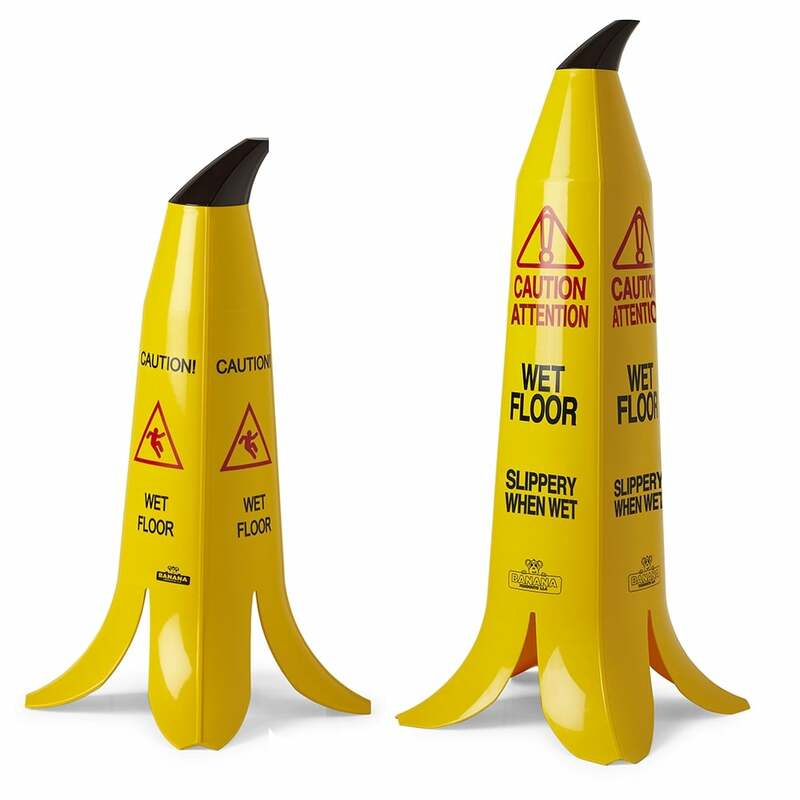 You’re guaranteed to attract attention with the banana cone wet floor sign, voted the most innovative cleaning product and winner of the visitors choice award at the 2013 ISSA worldwide interclean. Sturdy polypropylene base and strong detachable ABS stem, 10mm turn clockwise to secure, 10mm turn counter-clockwise to remove. Delivers a clear wet floor safety message on all four sides of the cone. Fabulous slippery floor warning cone in the shape of a banana... pun intended. Lovely banana color too.Very happy.